Choosing the right artificial grass company can make you feel like a fish out of water. Most people who are looking to install artificial grass have little to no prior experience with artificial grass. With no experience, you don’t know which good or bad qualities to look for in an artificial grass company. If you pay a company to do any project that totals over $500 in California, a company must have a valid contractor’s license. The contractor is required by law to show this number on any materials they use to market their work. By using a licensed contractor, you are assured that the contractor has adequate knowledge and experience to do your job right. You also know that they have the necessary bonding, insurance, and workers compensation insurance to protect you, your home or your business. The best indicator of how an artificial grass company will work on your yard is to see their previous work. It is important to view a completed installation to see the true quality of a company’s work. It also helps you visualize how your finished lawn will look. Ask the company for a list of current customers that you can talk to. Call the existing customers of the company. Ask them how did they like working with the company and its employees. Most people will tell you the truth about their experience and the company. Talking to previous clients is probably the most valuable step of checking an artificial grass company’s work because you can see how they interact with the customer's home. Having a beautiful end result is important, however, the way people treat your home when you invite them to do a job is more important. Respect and quality work is the type of company you want to do business with. The first thing you should ask any potential contractor is do they have their licenses? Furthermore, you should ask the contractor to explain their installation process from the beginning to end. Make sure you feel comfortable with their explanation. Any professional artificial grass company should have no problem explaining how their company installs artificial grass. Remember that every yard is different and every company has their unique way of installing artificial grass. You want to make sure that you feel comfortable with the contractors plans for installing artificial grass in your yard. The character of a company's owner can tell you a lot about the company. Great people hire great people and vice versa. Make sure you meet the owner or head boss of the artificial grass company before you decide which company to pick. Remember that salesmen are trained to sale. The person who first gives you a quote or estimate for your artificial grass is generally a salesman. Of course, it is great if you like the person, however, analyze the whole company so you know whom you’re going into business with. The owner or the head manager is typically the best representation of the whole company. They represent the company because they create the standard at which everyone is will work at. If you feel good about the owner, prices, and materials you are that much closer to picking the right company. 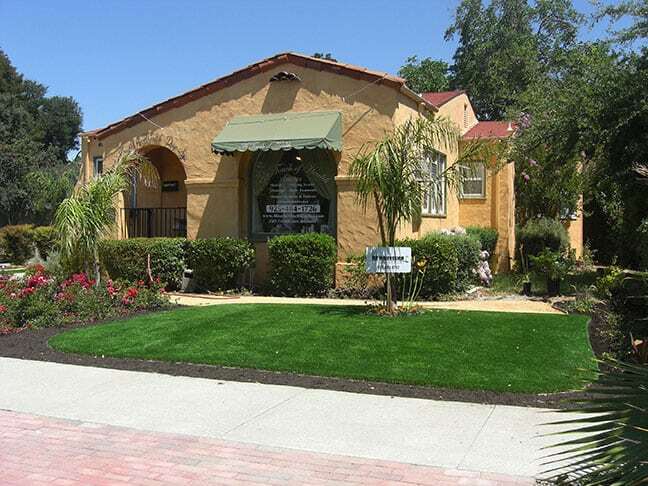 Doing your research is an important step in finding an artificial grass company. You want to have adequate information to help make your decision. Having price and quality standards are great criteria’s to assure that you getting the best product for your budget. But the most important rule of thumb is to follow your gut. After you finish researching different companies and products you will develop a higher understanding about artificial grass and how the installation process works. Be sure to use that higher understanding to make the best decision. Hopefully, the company you choose will be the company you have a partnership with for the lifetime of your artificial grass. It’s ideal to develop a relationship with the company who installs your artificial grass. Being able to call for future questions and problems will be a great asset. Your gut will tell you which owner and company are right for you. Think about your personality and the personality of the company. Ask yourself would you like to be in business with this company 20 years down the road. Remember that its owner, workers, products, and prices make up an artificial grass company. All four of those things can change over time, however, they will generally change for the better if the company is steadily growing. Follow your gut, it’ll never lead you wrong.